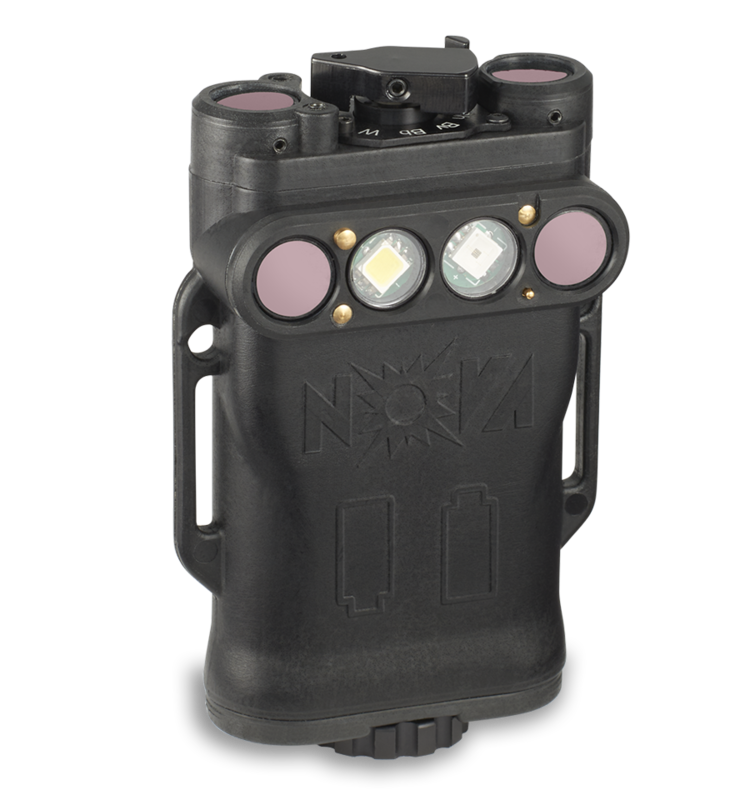 The Nova is a multi-spectral combat ID beacon for covertly marking blue force personnel and vehicles. It includes broadband thermal, NIR, SWIR, and/or white LED emitters. When operated in thermal or SWIR modes, it emits no visible signature and is undetectable by conventional night vision equipment. The Nova has an optical output of approximately 350 mW in the MWIR band (3 - 5 µm), 320 mW in the NIR band (880 nm), 150 mW in the SWIR band (1550 nm), and 70 lumens in the visible spectrum.